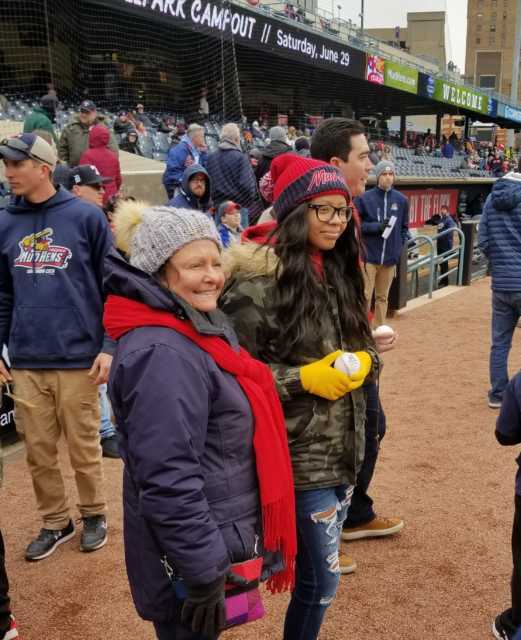 Last week, over 300 Skylight clients and associates gathered at Fifth Third Field to celebrate opening day for the Toledo Mud Hens, the city’s celebrated minor league baseball team. Between classic stadium grub and beverages, the crowd was treated to the musical stylings of Extra Stout, a local 6-piece band known for their cheery Celtic tunes. 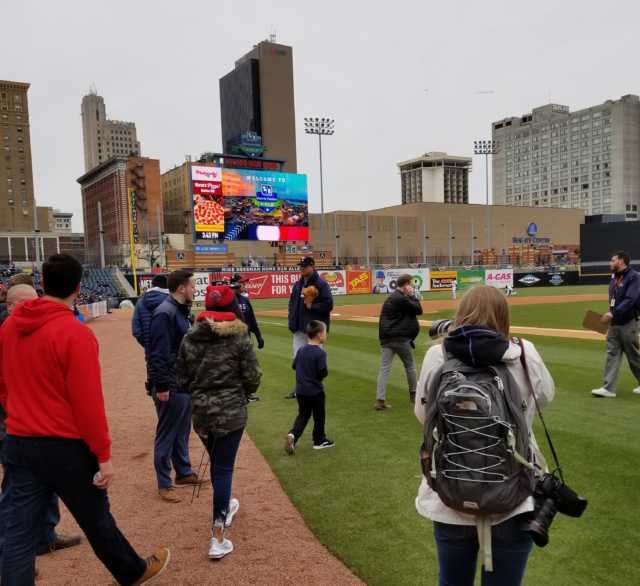 The afternoon also hosted a guest appearance from the Toledo Firefighters Pipe and Drums band, captivating the crowd with thunderous rhythms and sounds. 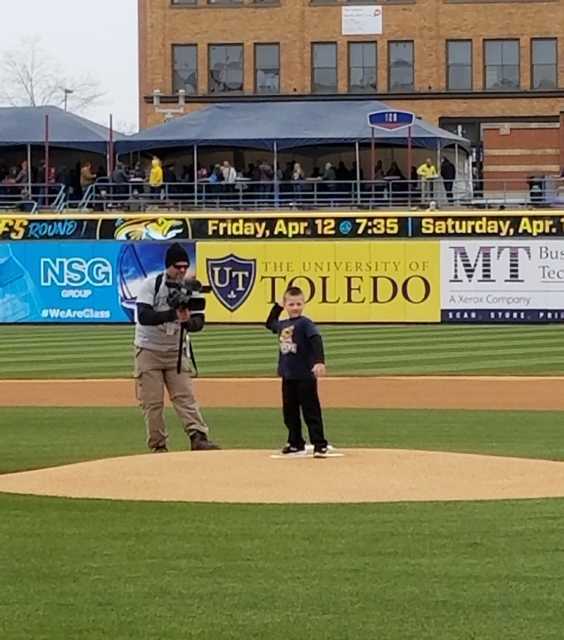 Thanks to our friends at the Leukemia & Lymphoma Society, Skylight had the opportunity to give some young fans the chance to throw the first pitch of the year. Luke and Laila of the LLS, two children undergoing serious medical procedures, took to the field that afternoon to kick off the season the right way. 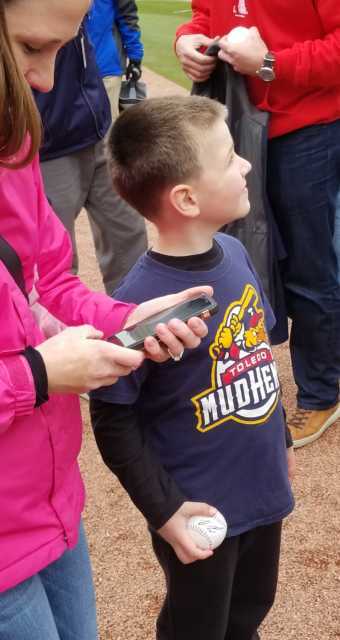 After an exciting 9 innings Mud Hens went on to clinch a victory against the Louisville Bats, 10 to 5. Check out a few of the pictures from the event below and check out the full Facebook Album here! Luke and Laila take to the field!